Here are official descriptions of all series from 3 season of Miraculous. Spoilers! 1. Lila is back in class and seems to get everything she wants from her classmates, but Marinette believes she is lying and does not trust her, and she has the attention of her beloved Adrien. what an animated film director is capable of. modern to bring back the Paris of his time. 4: Ladybug and Chat Noir defy a friend of Master Fu. Become Rebrousse-Temps, she wants to make up for lost time by stealing the others. Marinette to protect her from the outside world! 7: Ladybug and Cat Noir defy Luka, akumatized in Silencer. Ready to give voice? 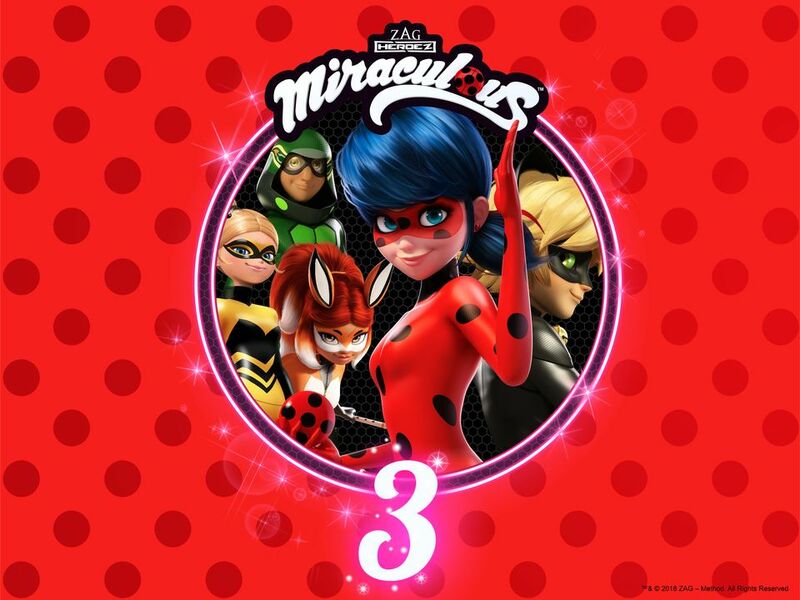 9: Ladybug and her team defy Sabrina, become Miraculeur. Oblivio to be a bad memory? him a present if they want to stop him! 13: Ladybug and Cat Noir face Max's mom, now Startrain. Our heroes will need help to stop it! 14: Ladybug and Chat Noir confront Ms. Mendeleiev, who has become a Kwami Hunter. 16: Ladybug and Chat Noir face Max, become Gamer 2.0. Let the game start again! 17: Ladybug and Chat Noir face Aurore Boreal again, become Climatika 2. To stop it, the super heroes will have to demonstrate without cold! Ladybug save her best enemy? Miraculous. The future of Paris is in their hands! 20: Ladybug and her team face Wayem, become Trouble-féte. Our heroes will not have to remain marble if they want to stop it! 21: Ladybug and Cat Noir face the Puppeteer at the Musée Grévin! Our heroes will not have to remain marble if they want to stop it! 22: Ladybug confronts the last person she thought she could get akumatized...Chat Noir! 23: Ladybug and Cat Noir defy Alya, Rose and Juleka, akumatized as Trio of the Punisher, and Felix, Adrien's cousin. 24: Marinette is dismissed from the school, but another even bigger problem awaits her: she must face a sentimonster in the image of Ladybug! 25: Ladybug and Chat Noir face the Bourgeois couple, now as Mangeamour, a cerberus of two heads that eats all the love of Paris. 26: Hawk Moth akumatizes Chloe into Miracle Queen to realize a fatal plan.